Please call to discuss how I can help your sports performance – golf, rugby, football, in fact any sport by using hypnotherapy and NLP techniques. Working with you using visualisation, future pacing, goal setting combined with hypnotherapy to help you achieve your potential. 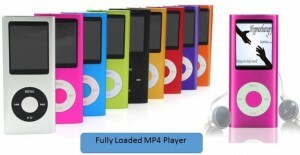 Get this fully loaded MP4 player, packed with hypnotherapy and motivational files for you to enjoy at your leisure.